In kindergarten celebrating the 100th day of school is kind of a big deal. I'm lucky that I teach at a K-2 primary school, so the 100th day is a school-wide celebration. Each year I plan several fun activities for my class and this year will be no different. Once the students arrive, we will be taking a tour of the school. All of our classrooms have assigned their students with the task of creating a 100th day project. It is to be a family project; moms, dads and siblings are encouraged to help with the creation. I am always amazed at the uniqueness and creativity that goes into many of these projects. The rest of our day will be spent rotating through 100th day themed centers. We wil be listening to The 100th Day of School. I posted a parent request for specific snack items. Using paper bowls to hold the items, students will make their way around the rainbow table. I'll be using blank ten frame cards for them to place their snack on. Once they have 10 items from bowl #1 they will place them in their snack bag and move onto bowl #2. To keep track of each students snack I have prepared small ziptop bags with each students name on a label. If you want a copy of my Snack Request- just click the picture to download. For this station my students will be given a blank 100's chart to complete. For my friends who I know will not be able to compete this task, I will provide them with a 1-100 number tracing page. We have been working a lot with tally marks the past few weeks. To celebrate this special day they will be making 100 tally marks. Each year I tend to change up the hat. I will be using some variations form the hat in my 100's Day pack. We will be using fruit loops and dividing them up into groups of ten with place holders for 10, 20, 30…you get the idea. 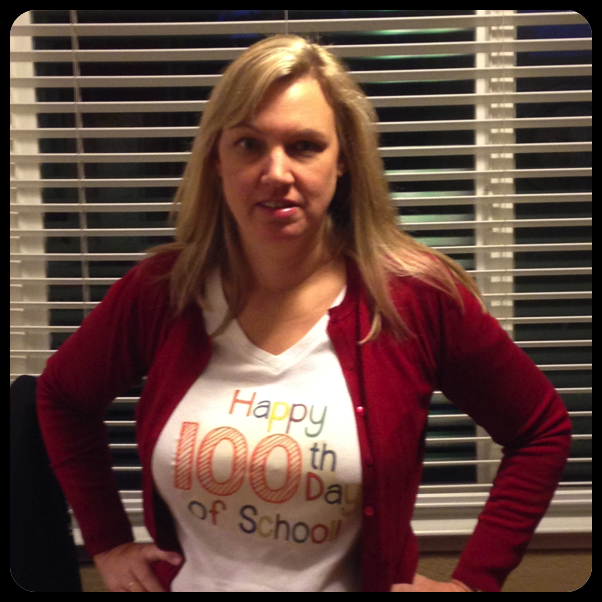 Of course I'l be wearing my 100th Day t-shirt too. Our school is also doing a canned food drive. Each class was challenged to bring in 100 cans. We will be grouping our cans by tens and then counting them. Last year we had over 800. I know we will beat that this year for sure. 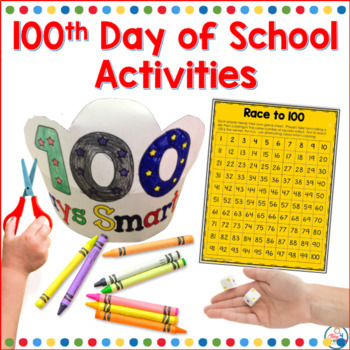 Many of the items mentioned above can be found in my Hooray for the 100th Day. Pack. This weekend I will make the banner that hangs in our doorway and hopefully one that will hang in front of the school. The school one might need to wait until Monday. I left the giant paper at school and don't feel like going back. 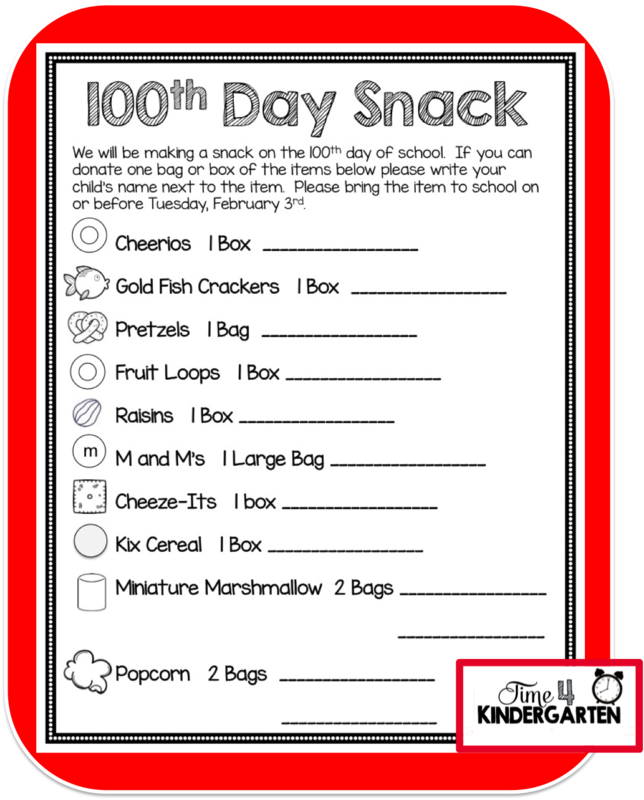 When is your 100th day and how do you celebrate? I'm always looking for new ideas. 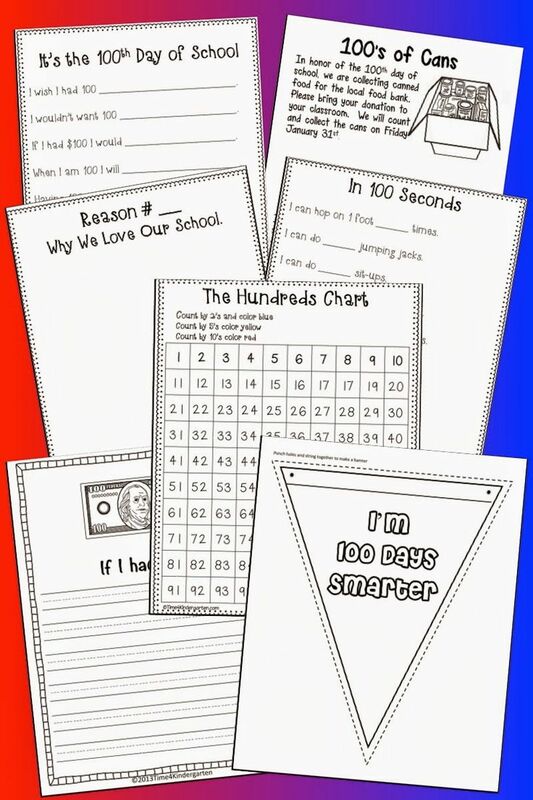 I love all your 100th Day ideas! The link to the copy of your snack request isn't working. Would you be able to fix the link?